… an incredible story to this particular fire. Our eldest son has a knack for acquiring languages. When he was five, he showed interest in learning Hebrew. We found a Messanic Temple offereing weekly classes… for adults. My husband, The Dad-also uniquely adept with acquiring words to communicate, took our horizon chasing son- Captain, to the first evening of class. Personally, I thought it would be a one time interesting father-son event. However, when they arrived home that evening, The Dad explained how much the Captain kid caught on and really seemed to enjoy the songs… and the people- who found this five year old the focus of their unyielding hospitality. This Hebrew course, taught by Messianic Rabbi, was about a semester in length. And by the end of the semester, the Captain kid was kindly correcting the Rabbi’s grammar. So, that was how we learned of this gift of languages. And our first born has it. How do we foster gifts? We must remember the Giver, first. Adorn ourselves with an attitude of thanks… but, also posture our hearts in prayer to readily exercise… refine… with humility… to receive, to share, & to draw out of others as well. As other children are joining sports teams & falling into an expected Bell curve, our son’s discovering polyglots… and wants to be one. This is obviously an enduring endeavor… and not a lot of kid clubs ready to earn gold stars or any accolades. So, my husband proposes to Micah that when he’s fluent in a language, they will travel to a country to practice with native speakers. Captain studied Spanish, Italian, Latin, and German at the same time. The first three are Latin based with a lot of similarities. German is Germanic on the language tree. Due to family friends’ wedding, we travelled to Germany in 2011 prior to Captain’s fluency. Yet, his refined listening skills and determination sought to speak and ask as many questions as could to learn & master more. After our month in Germany, he was getting by amazingly well. Another side note, The Dad’s picked up German. His goal is to sound like a native German speaker when he’s in country. This means he doesn’t want to have a heavy English influence in his cadence or pronunciation. Fast-forward to 2014… after living in Tulsa, OK & Chicagoland, we’d been living in Florida for a few years. One of our dear Cuban friends had committed to conversational Spanish with our Captain kid. They’d speak briefly every day on the phone. And whenever we’d get together in person, they only spoke Spanish. Ms. Jackie, an exceptional teacher, enjoyed his ability to pick up the language as well as his interests in Spanish literature and culture as well. By that fall, The Dad, believing the Captain was ready to test Spanish in a Spanish-speaking country, contacted a friend from college who’s native to Costa Rica. The Dad explained he didn’t want a typical USA tourist experience, but a Costa Rica local one. We’re so grateful to Mr. N and his family for their help prepaying for the trip, their in-country hospitality, & lifelong friendship. Such a gift. So, December 2014, found The Dad & Captain on a journey in Costa Rica. During this time, our younger son & youngest- the daughter remained at home. Our plan was to Skype periodically throughout their trip. They have a-mazing tales of stumbling upon great science experimentations & intriguing discussions with polyglot scientists, meeting a museum curator who invited them to church, & the bounty of natural wonders… including wind, a rattlesnake encounter and the monkeys… but, I’ll let them share those details. As The Dad and the Captain were traveling beyond the façades of Costa Rica, I lost contact with them for over four days. Quite unsettling for this Mom – knowing their agenda included regions… but not tight details. My gut… something had gone wrong. Very wrong. On the home front, God pulled together dear friends & neighbors in moments of unsettling uncertainty to pray together… based on the brave recommendation of our 13 yr. old son who was The Man of the House… around this very fire. This was all beyond me bc I hate feeling weak & vulnerable … & fight it fiercely. And “hosting” in disarray is not customary for me either. Just inviting people over in such circumstances was well beyond me. Eventually, they made contact when they were Mr. N’s family. We learned they’d come home three days earlier than planned. Details of the snag in their adventure only unfolded upon their return. God’s power & peace… beyond brilliant- even as we waited until their safe return to learn the details of their adventure – full of highs & lows. God – ever constant & ever present… drawing out our dross. 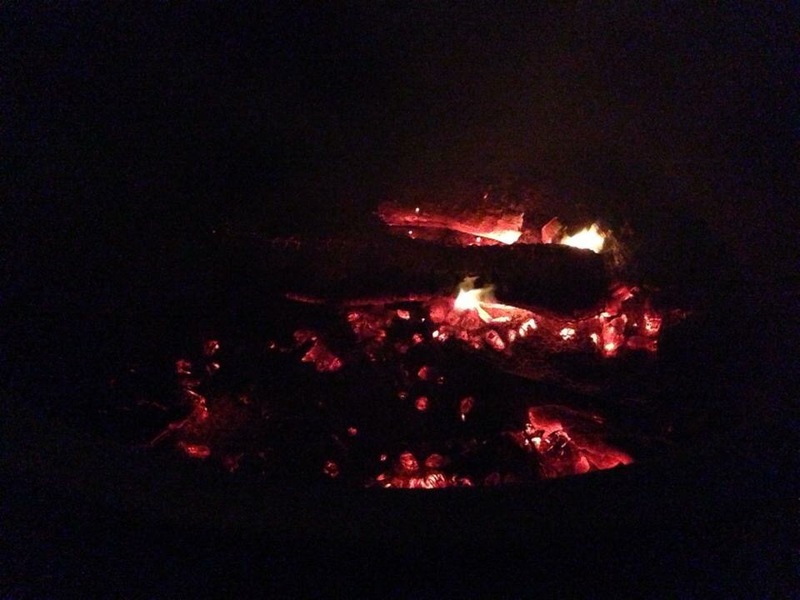 This Advent… I’m drawn to Remember… remember the Refiner’s Fire I need… but often prefer safe distances. Also, the fire of the saints circled up in prayers over the centuries calling on the Spirit of God – the One Who is, was, always will be – to intervene… and He does. Emmanuel. We delight to anticipate & remember Him.